Background: The symptom of the market success by a company is to reach the expected market effects (e.g. market share, customer satisfaction, customer loyalty) as well as economic ones (e.g. profits, rentability, return on capital). As a result, the company may achieve a stable and long-term competitive advantage as well as strengthen its market position. Methods: The abilities to use existing resources, which play an important role in achieving a market success, can be divided into operational and dynamic ones. The logistics abilities are one of the most important ones for a company. 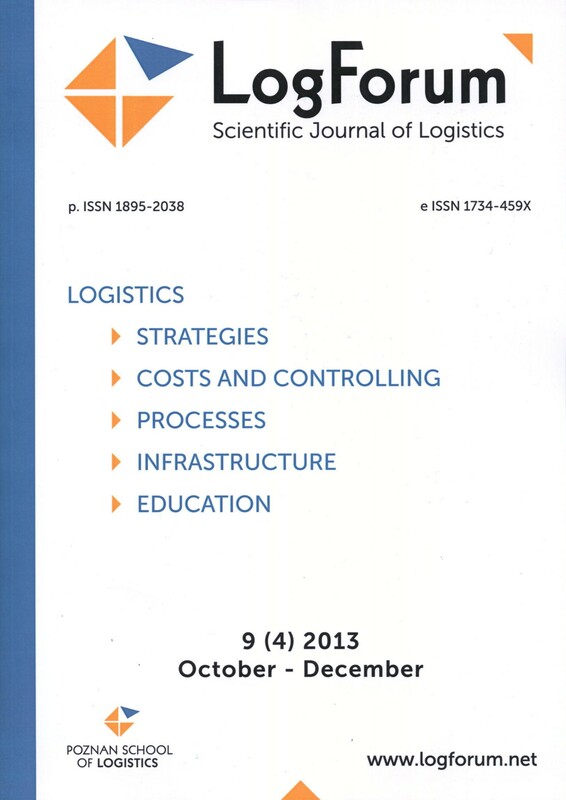 The comparison of these two kinds of logistics capabilities are presented, compared and evaluated. Results: the role of logistics capabilities in achieving a market success by the company in light of the results of research carried out in the world, including Poland, was discussed, evaluated and confirmed. Conclusions: The influence of logistics capabilities on the market success of a company was confirmed. The development of an effective strategy and organization solutions in the logistics seems to be the most important process associated with the use of potentials (capabilities as well as resources and competencies) and leading to achieving a market success of a company. ABILITIES CAPABILITIES LOGISTICS MARKET SUCCESS.